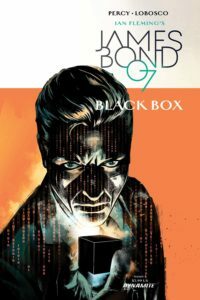 Pullbox Reviews James Bond: Black Box #1- Cue the theme! In the classic Bond story-telling tradition, we open with 007 on a mission in the French Alps. He has a target, which doesn’t generally leave a person with good long term prospects, but what James isn’t aware of is that he also has some competition in the field. There’s another operator looking to cut short the life of a bad man. Reporting back to M, Bond is told to put the identity of the second shooter on the back burner in favor of a new assignment. Everyone has an online presence these days, and the higher up in the halls of power you’re placed, the more protective of that presence you become, and the more concerned you get when that information is stolen. M is no different. James is given his assignment, and as he notes a level of more personal interest in his boss’s demeanor he’s given the order to find the hackers responsible for the leaks, the location of their servers, and to take them all down, permanently. 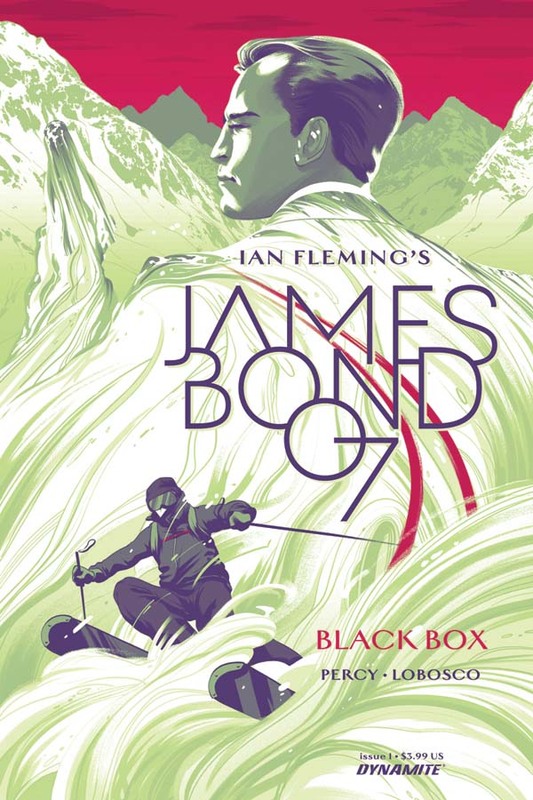 The latest of Dynamite’s forays into Ian Fleming’s world of shadowy super-spies and assassins opens on a high note. The action scene in the first few pages looks like it could’ve been taken right out of one of the Bond films, but with a different note. This 007 isn’t as pristine and untouched as Pierce Brosnan or Daniel Craig, carrying visible scars to mark past events. More notably, we’re shown through an internal monologue that Bond’s life of action and violence is in fact leaving a mark that isn’t as obvious. Pointing out that he prefers the cold for some of his assignments, as well as liberal doses of bourbon for after, James reveals that working from a position of numbness is his preferred method of operation. 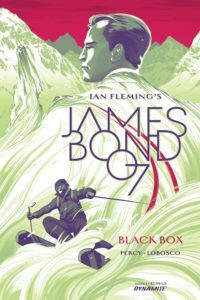 Having seen all of the James Bond movies at least once, one of the things that hasn’t been portrayed until more recently was the fact that Bond isn’t just a spy in the traditional sense. He has his more subtle missions where he may be sent out to uncover conspiracies, to retrieve world shaking bits of information, but even in those cases there’s always the potential for bloodshed. It isn’t always enough just to gather intelligence. There’s an adage: the only way to guarantee that two people can keep a secret is if one of them is dead. In the business of keeping some pretty serious secrets, James is often put into the role of assassin. 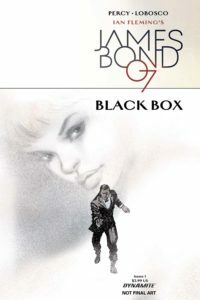 James Bond is a killer, and not always in the sense of a soldier forced to kill in combat, in the heat of the moment. In many cases, as in the opening of this story, James is sent out to take the life of a very bad man, but to do it quickly and quietly from a distance. That takes a different level of detachment, the mindset that there are no friends or enemies… only targets. It’s a moral flexibility that’s found only in select individuals. So long as we’re allowed to assume that James Bond isn’t a soulless sociopath, it’s all going to take a toll. He’s only human. 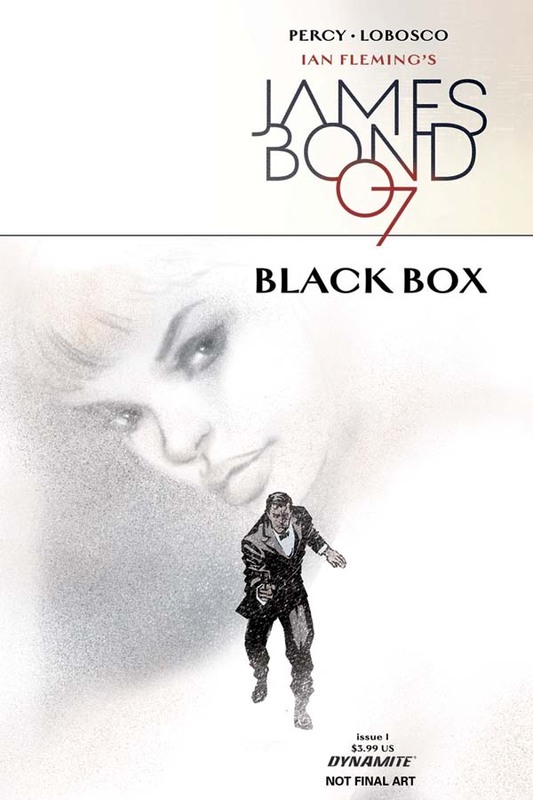 That said, he’s still James-friggin-Bond, and it’s with that spirit this book deals with his humanity. He drinks, quips, and womanizes, and he takes his problems one at a time. 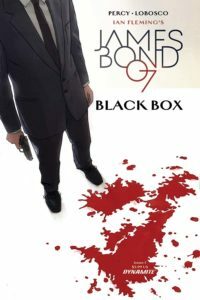 While M may not hold the identity of the second shooter from the opening scene as a priority over Operation: Black Box, James can’t quite put it on the shelf so easily. Did I mention that the other shooter is a gorgeous red-head with a Highland accent? See, James still has some perspective. 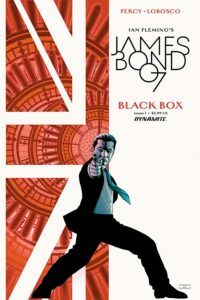 Fans of 007 shouldn’t have any trouble at all getting into his ongoing adventures, as told by the folks at Dynamite Entertainment. Benjamin Percy’s writing captures all of the arrogant rogue people would expect from Britain’s number one (number 7?) super-spy. He’s got the attitude and the he’s got the drive. Add to the mix the fine work of Rapha Lobosco’s art and Chris O’Halloran’s colors, and this is a James Bond that some might have only seen on the screen, but plays out very well on the comic book page. It can’t be easy, drawing that kind of swagger.